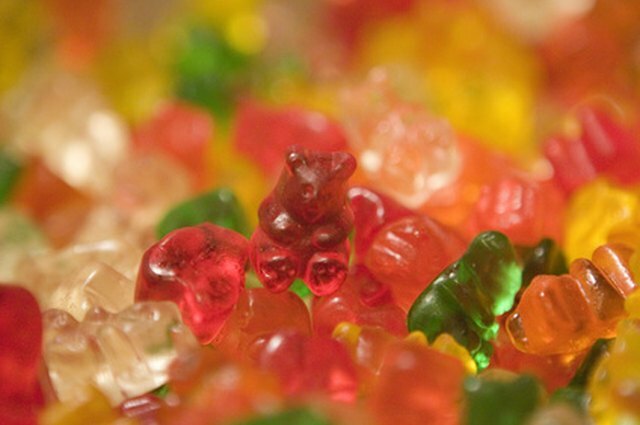 Gummy bears are a candy dating back to the early 1900s. According to the National Confectioners Association, Hans Riegel first made the chewy candy in his native Germany. U.S. teenagers learned about the candy through their German classes, and the candy gained popularity in the United States. 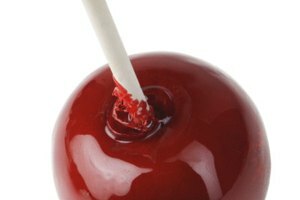 It was not until the early 1980s that a U.S. candy company developed its own version of the tasty candy. German companies countered by bringing more of their production to the United States to make their own version more readily-accessible. Today, gummy candies are available in a variety of flavors, colors and shapes. The following recipe makes approximately 36 candies depending on the size of your candy mold. Coat a candy mold lightly with vegetable oil. Using a small pastry brush helps you make sure you get into all of the cavities of the mold. While gummy bears are usually bear-shaped, you can make gummy candies in any shape you like. Combine 1 3/4 oz. of pectin with 1/2 tsp. of baking soda in a medium saucepan. 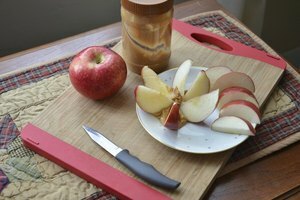 You can find pectin in the canning goods aisle at your grocery store or home-improvement store. Add 3/4 cup of water to the pectin and baking soda. Turn the burner to medium heat. Stir the mixture until the pectin dissolves completely. The baking soda and pectin will begin to foam as the mixture heats. Stir constantly until the mixture thickens and becomes clear. This should take two to three minutes at medium heat. Turn off the burner and cover the saucepan to keep it warm. Mix 1 cup of light corn syrup and 1 cup of sugar in another medium saucepan. Turn the burner on high heat and stir until the sugar dissolves and begins to boil. 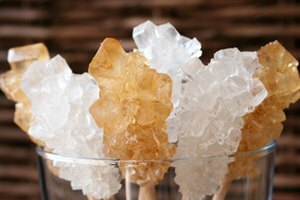 Cook the sugar until a candy thermometer displays 260 degrees Fahrenheit. Add the pectin mixture and return the sugar to a boil for one minute. Remove the pan from the burner. Add lemon or orange extract and food coloring if you wish. Stir thoroughly until the flavoring and coloring are incorporated. Pour the candy into the prepared candy molds and let them cool at room temperature. Sprinkle powdered sugar lightly on the exposed parts of the candy once it has cooled completely. Shake off any excess sugar and peel the gummy candy from the molds. Sprinkle the front of the candy lightly with powdered sugar and shake off any excess. You can store your homemade gummy bears in an airtight container for about a week after you make them. Sugar is extremely dangerous while boiling. Use care while boiling sugar and do not allow children to stir the sugar mixture while it is cooking.